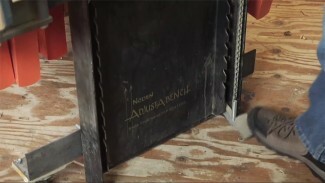 Adding a router fence to your hand-held router provides a great enhancement to one of the most versatile tools in your shop. A good quality router fence enables you to mill grooves, dadoes, and flutes, consistently following the edge of your wood router projects. Without a router fence, you are limited in the accuracy and repeatability with which you can perform these important functions, and you are forced to devise creative workarounds. A router fence system is generally available from the router manufacturer or from a third party aftermarket provider. It is installed into brackets that are machined into the router base itself, and then provides adjustments that enable the fence to be positioned at the necessary distance from the edge to affect the desired milling operation. 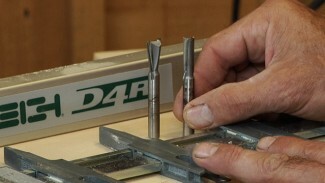 A router fence can be used in conjunction with many of your favorite “must have” router bits. It’s important that you are familiar with the rotational direction of your cutter, and understand how that affects the behavior of your router as you move across your cut. The level of control that you are able to maintain during the cutting operation is directly influenced by the combination of cutter rotation and feed direction. It’s not always obvious which direction you should be moving the router, but George explains the concepts in a way that makes this easy to remember. It’s a matter of both quality and safety. If you use the wrong feed direction you will have the sensation that your router is running away from you, and leaving a rough surface in its path. 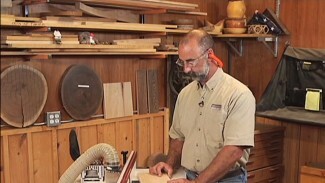 Once you have the correct direction established, on the other hand, you will find that it is much easier to control the router and you get a much cleaner cut.